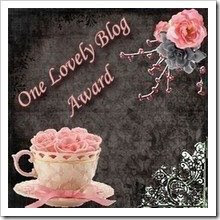 From Tracie: -My First Blog Award! Now, hopefully I didn't leave anyone out. Please everyone go check out these great blogs, and thanks again Chantel! Congratulations ! I was very proud too when I got my first one ! Congrats! It's always nice to get recognition for something you love doing. Thanks for the heads up on these blogs, I will go check some out (and yours). I followed you from Sophie's site (BooMama), whom I love, have since we were tweens. aw thank you so much for the award!! I will add your name to my award list!! Tracie...way cool that you got this award! Thank you so much for giving it to me as well (and my SIL at Up North Mommy!). I did get this award awhile back and it's way down on the side of my sidebar, so you probably didn't see it. :) But I am totally honored that you gave it to me! THANK YOU!!! I tried out a couple. My highest score was 345, but I had to work it up to that. Your first score was excellent. Congrats on the lovely award. I think paying a blog award forward 13 times is a wonderful idea. Happy T13! Congratulations on the award. I forwarded the knitting blog links to my daughter, the knitting nut. Congrats on the award, and thanks so much for the shout! Hi Tracie! Stopping by from SITS to say hello. Congrats on your first Blog Award! I remember with my first blog award I didn't even five bloggers to give it to! And you've got a ton!